For many of us, it can feel like we never have enough time to get everything done. When you're rushing from one thing to the next, or when you spend most of the day away from your computer, it can be tough to find the time to register for events or contact fellow ISST Members. Luckily, if you use a smartphone or other mobile device you can now quickly keep in touch with ISST wherever you are, with the Wild Apricot for Members App. You can use the app to view your profile, register and pay for events, search the member directory, contact other members, and much more. Plus it’s free, and it's now available on both Android and iOS. Starting to use a new mobile app can be intimidating, so we’ve made sure you can get things done with just a few clicks. 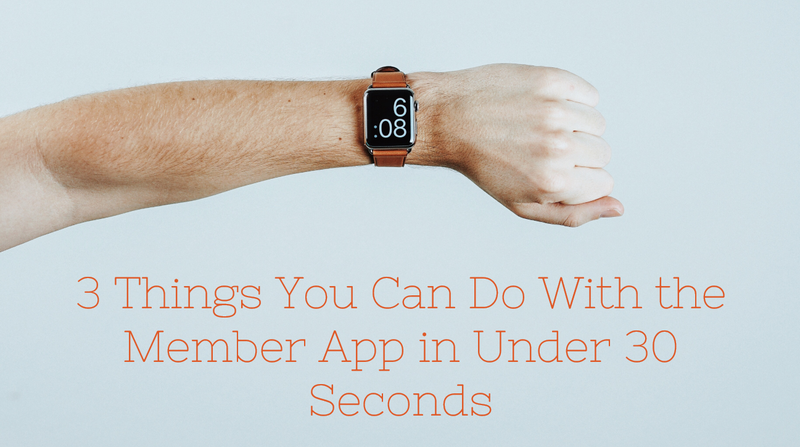 Below are three things you can do with the app that all take under 30 seconds. But first, get started by downloading the app. You can click the buttons below, or search for "Wild Apricot Member App" in your device's app store. Tap Events in the main menu to bring up a list of events. A ticket icon will appear beside events that you’ve already registered for. Tap on an event in the list to display the details of that event. Tap the Register button next to the appropriate registration type to bring up the registration form. Fill in the required details. These can include options to specify the number of guests you're bringing, and whether you wants to appear in a public list of event registrants. Once you complete the form and tap Continue, you will be taken to the Review and confirm page, where payment options will appear. Depending on the payment method chosen when the event was set up, you might see Invoice me and/or Pay online buttons. Select a payment option and complete the registration. Your registration will appear in the Tickets module. Unless it was disabled within the mobile app settings for your Wild Apricot site, you can view a member directory in the app. Tap Members in the main menu. You will be shown a list of members' names alongside a profile picture if they've chosen to upload one. Tap on the member you’d like to get in touch with — this will open up their profile. To send them an email, tap on their email address. This will open up your device’s email app, where you can compose and send your message. Tap Tickets in the main menu. You will be shown a list of the events you’re currently registered for. Tap on an event to show the Event registration details page. Tap the event location — this will open up your device’s location app, with the venue marked on the map. Most location apps will also show you directions and contact details for the venue. Why not download the app and try it for yourself? Download the member app for Android here, and for iOS here.